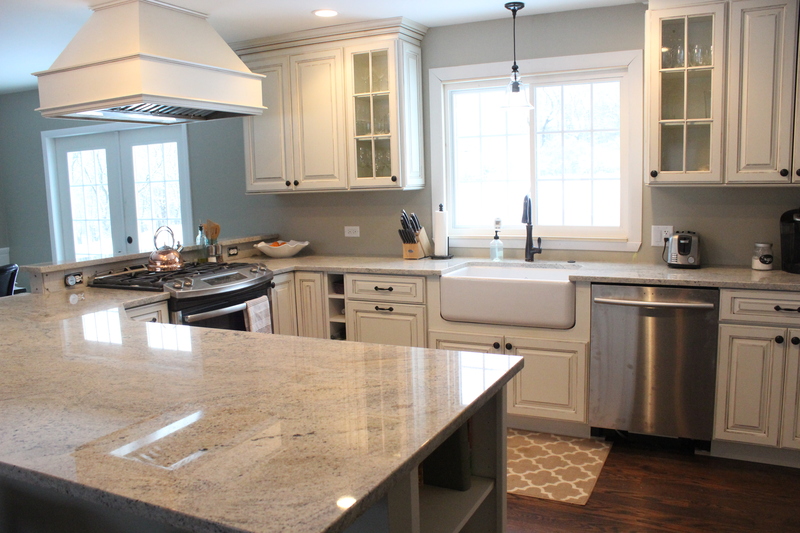 We are getting dangerously close to calling the big kitchen renovation complete! Yesterday they installed the granite— which took us weeks and weeks to find. We both said it feels too nice to be ours. 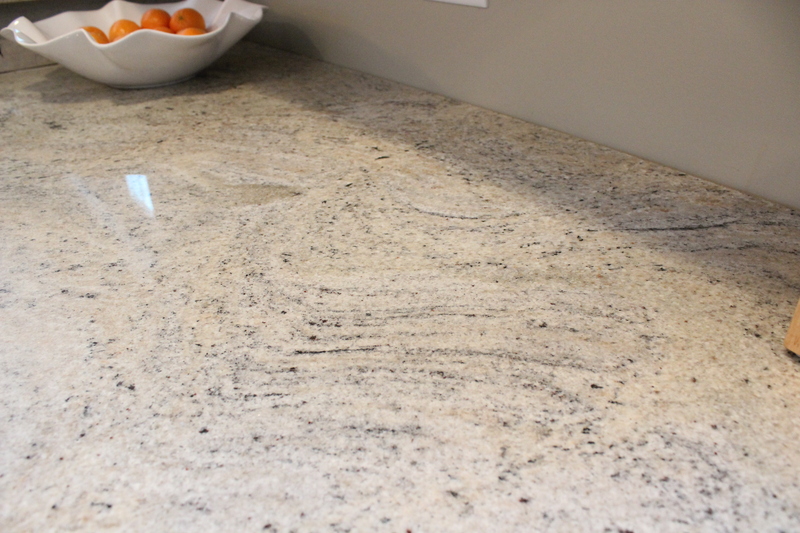 It’s probably the lightest granite we could find and had more movement than typical granite, more like a marble or quartzite. It is called Cielo Merfil and we got it at a local shop called Damar Stone. Then we hired a fabricator that Ben uses at work to install it. Since the peninsula piece is almost a full slab of granite, it took 8 guys (plus Ben got in there) to carry it in. I heard a few Polish swear words as this was being hoisted in. I’m sure they just loved me snapping pics of them. But yeah it is beautiful. We are really happy we went with this stuff. And it was under budget! The two quartzites we priced out (White Macaubus and Madre Perla) would have been $3,000+ more. 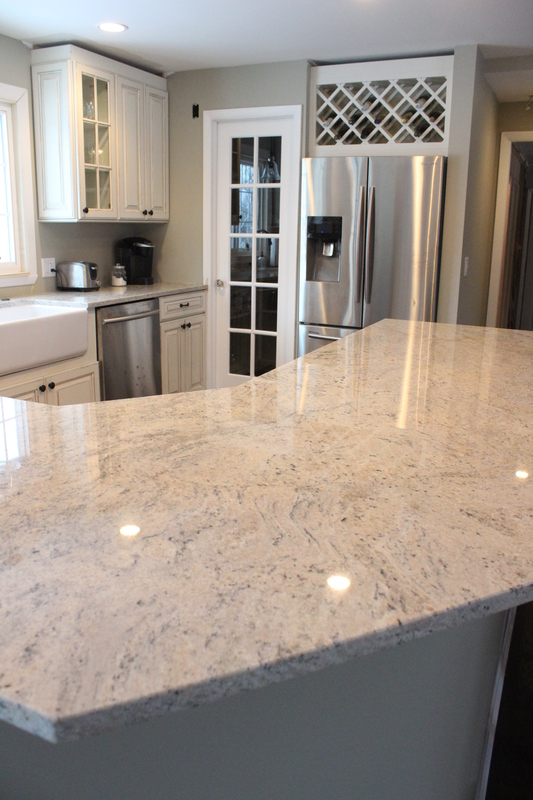 But the granite isn’t even my favorite part of the new kitchen. 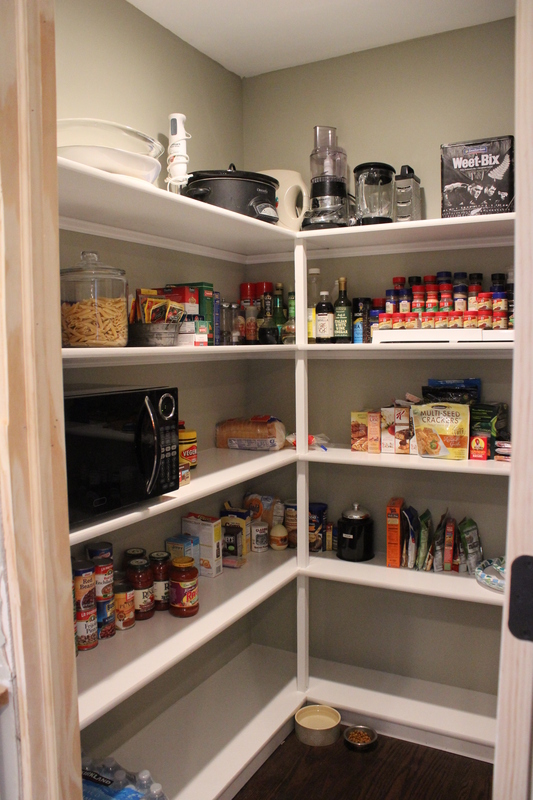 It’s the walk-in pantry. Hello storage! Ben built these with white melamine shelves from Menards. So far, we really like having the microwave in here and out of the way. The pantry door is also on a jam switch so the light turns on when you open it. 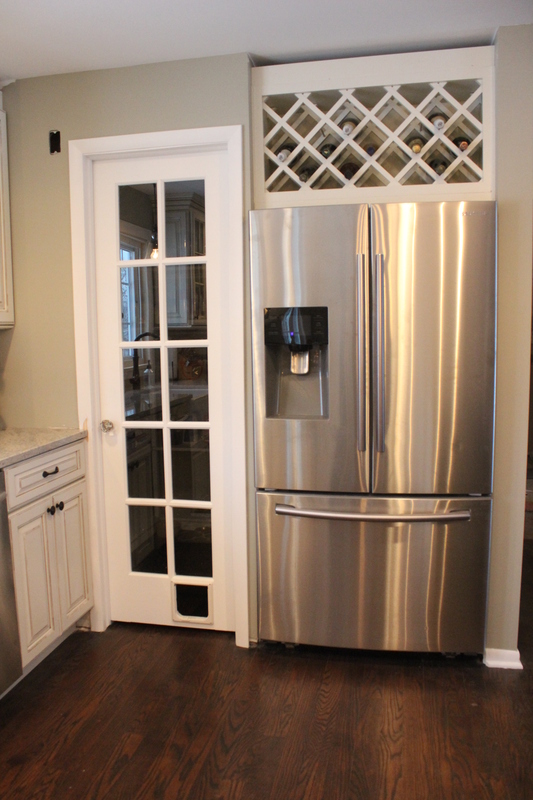 I love the glass door knob we added to it. 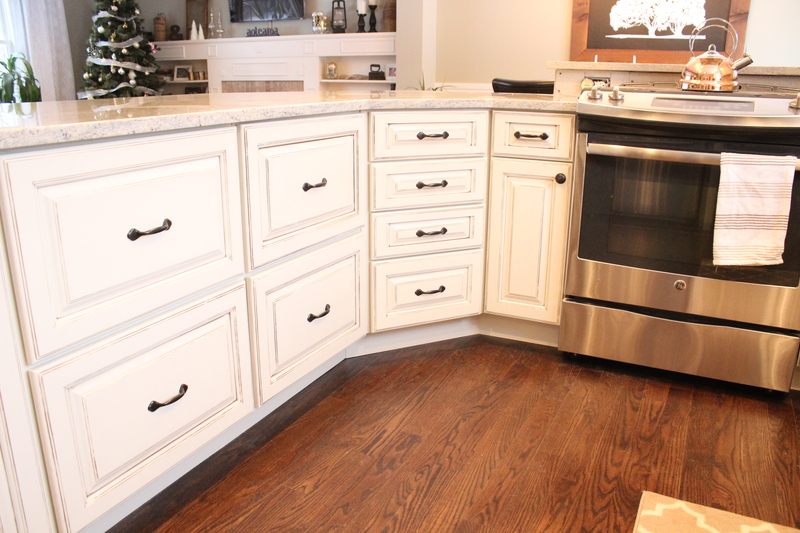 Also new in here is the cabinet hardware. 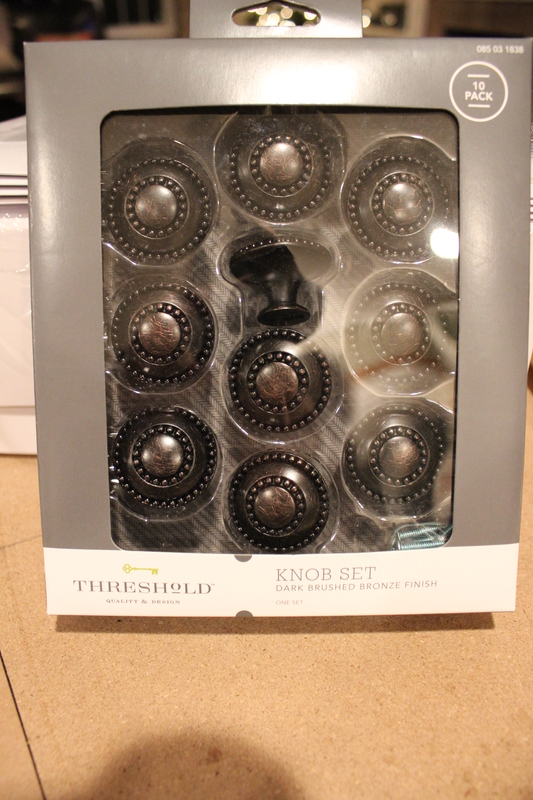 The knobs are from Target of all places. They come in a pack of 10 for $30. Then we picked simple drawer pulls that were the same bronze color from Home Depot. Continuing on the oil rubbed bronze theme is our new Kohler faucet. And that little button on the right is connected to our garbage disposal. I never knew those existed but it’s pretty neat. Above the sink is a glass bell jar pendant from Pottery Barn. We plan to add an edison bulb like in our bathroom. The range hood fan is also in and is really powerful. 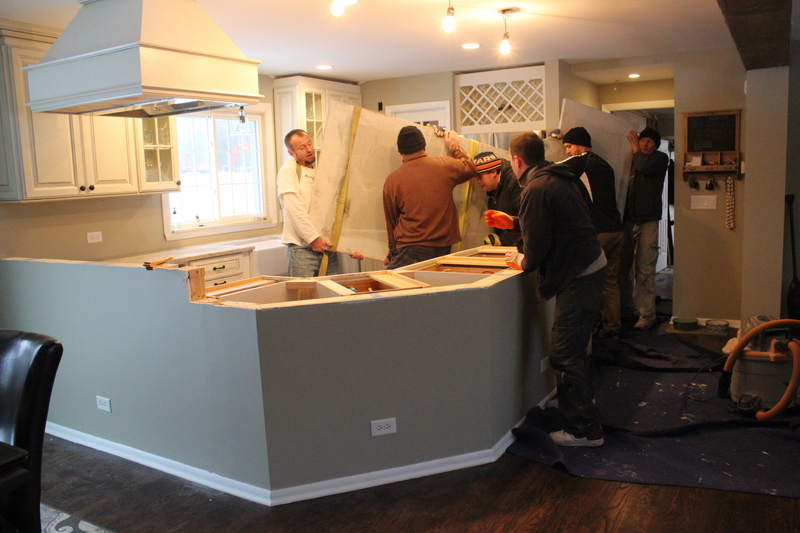 We’re getting a piece of stainless to fill out the rest of range hood in the back there. Pick and install a backsplash. 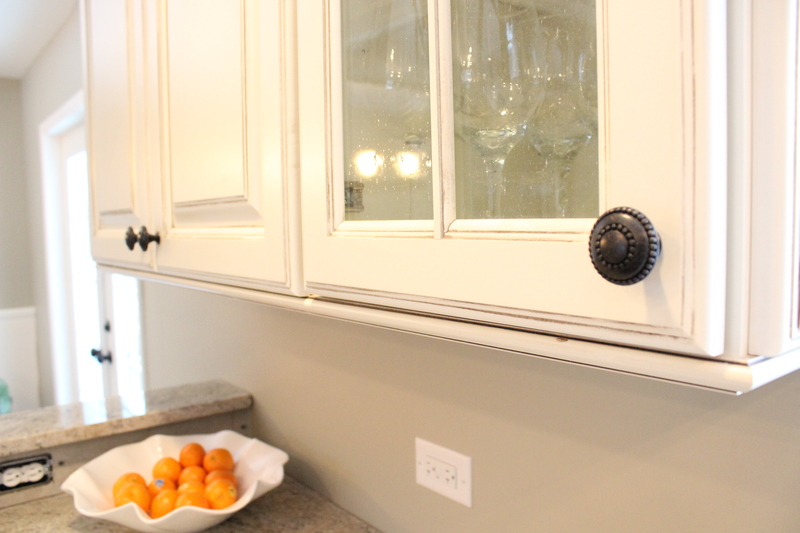 Fix the cabinet crown molding. We’re having to take it down because the ceilings aren’t level and it looked crooked. Find and install pendant lights for over the peninsula. We’ve purchased and returned 2 sets so far. One set was too big, the next too small. 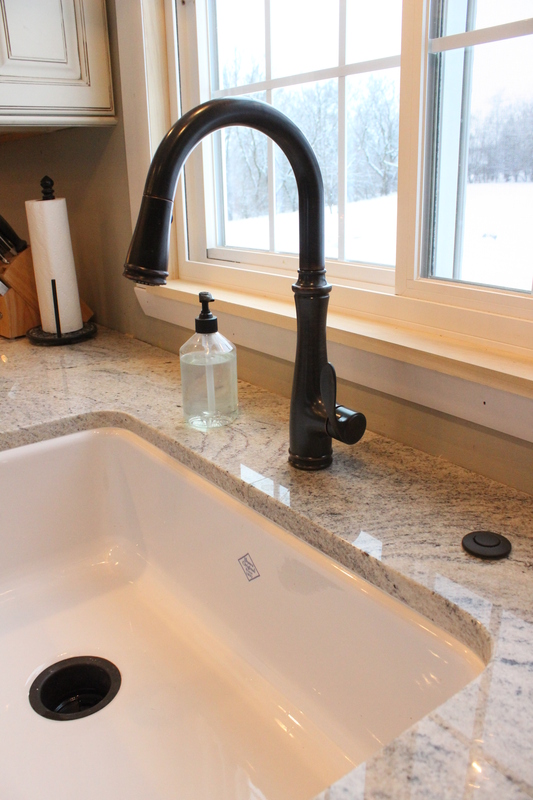 Install a trim piece around the sink. Do some final paint touch ups. Lots more going on at the house too with the addition, nursery and stairs/entry way that I will be updating you on soon. 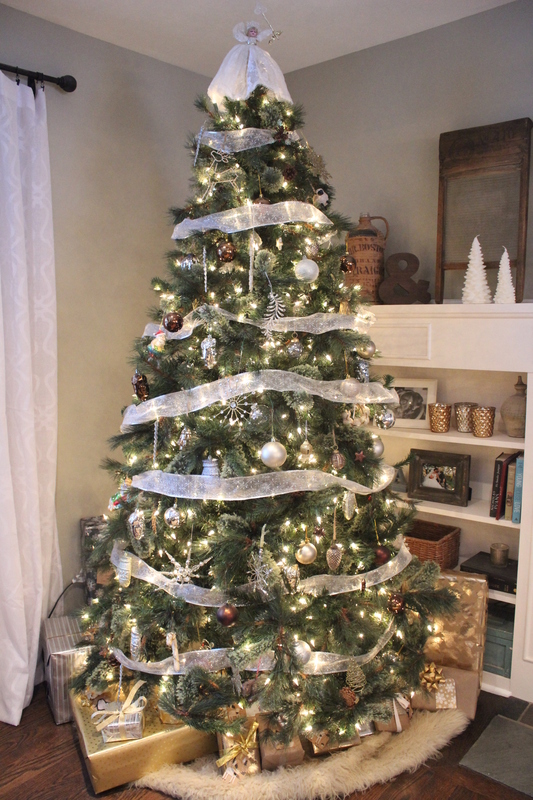 And while we decided to keep our Christmas decorations simple this year, our tree turned out really nice. Our old artificial one burned out, so we bought a new Martha Stewart one from Home Depot. It was the best one we could find for the price (under $200). There are little pinecones in it and several different types of branches. My color scheme this year is metallics: gold, silver and bronze. 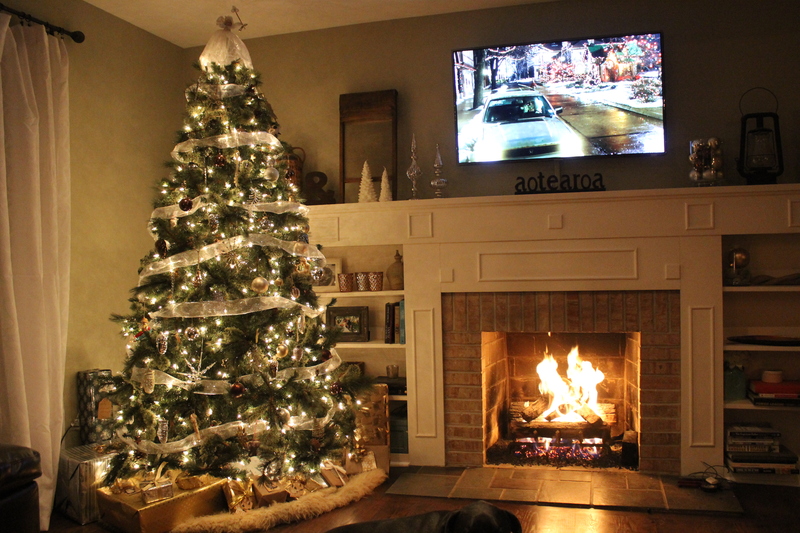 It is so pretty and cozy at night with the fireplace on. Love Christmas time!